Doll's Bedding Set | Great Little Trading Co. 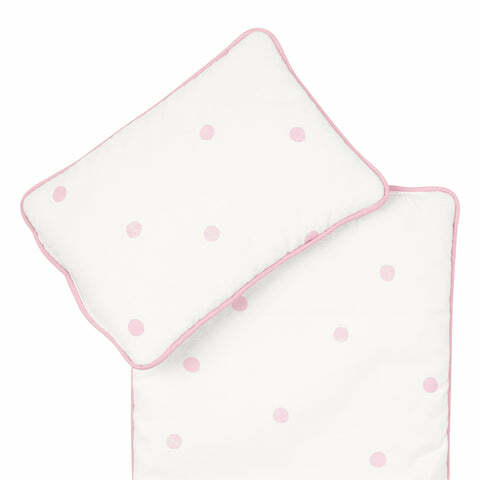 Here's a really deluxe bedding set for dolls, with pretty piped edges and a classic, pink spotted design. The set includes a padded pillow and quilt. This pretty bedding is made from 100% cotton and fits our Bunny Dolls Cot or in our Bunny Dolls Pram. 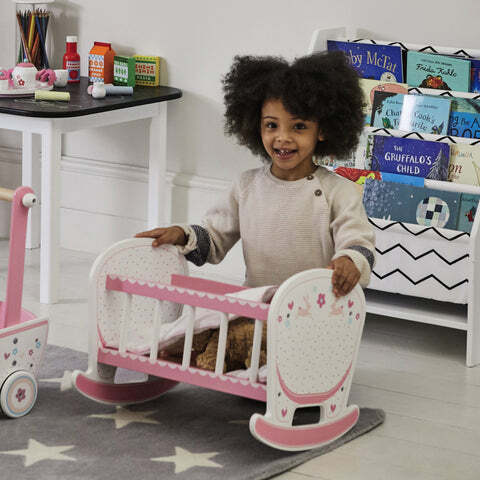 Team up your Bunny Dolls Furniture with our Baby Stella First Doll.